Recently, Pajkov Vir Tunnel of Montenegro Bar-Boljare Highway was successfully completed. Montenegro’s National TV delivered an exclusive report toward XCMG XTR260 boom-type roadheader. 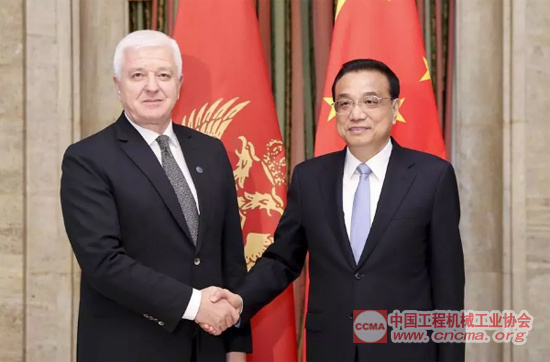 It’s reported that Montenegro Bar-Boljare Highway, a significant cooperation project between China and Central and Eastern Europe, connects Bar, a city in the South Montenegro and Boljare, a city in the North Montenegro. It is the first highway of this country. 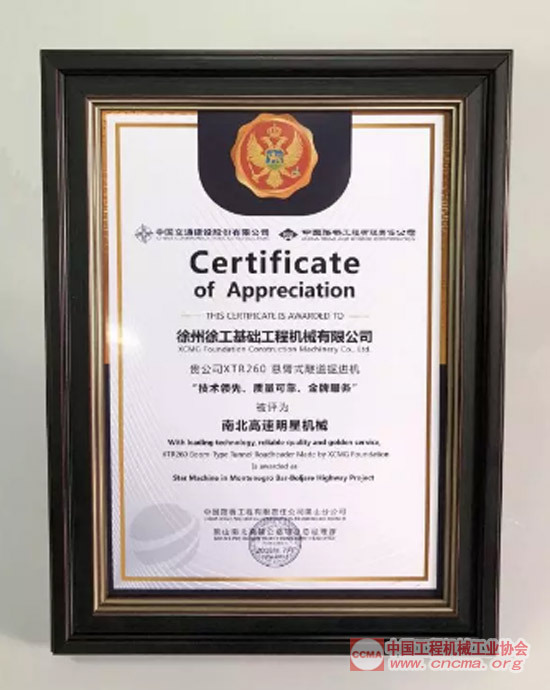 After completion, it will be included as a part of international road transportation network, connecting many countries in the Central Europe. This is of great significance to promote the economic development of Montenegro as a whole. During the project construction, the governments of both countries were very concerned about the project progress. At the night of July 7th, 2018, Li Keqiang, Premier of State Council pointed out when he met Du?ko Markovi? in Sofia, capital of Bulgaria that Montenegro Bar-Boljare Highway is a flagship program marking the pragmatic cooperation between two countries. He wished that our two countries could cooperate, accelerate the construction progress and set up example for the cooperation in other large-scale projects between two countries. 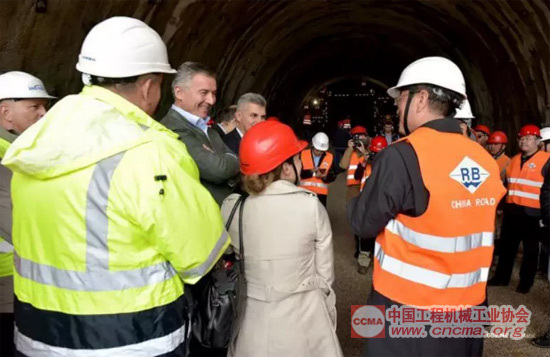 Milo Đukanović (President of Montenegro), Minister of Transport, Cui Zhiwei (Chinese ambassador in Montenegro), and National Technology Committee of Montenegro had all inspected the construction site and spoke highly of the heading machine. The National TV of Montenegro gave an exclusive report toward the tunnel construction with roadheader. Tunnel in Europe generally employs mechanized construction. Manual drill-blasting excavation and support technique are already eliminated for that the traditional construction technology can not satisfy the need to guarantee a healthy, safe environment for the workers. 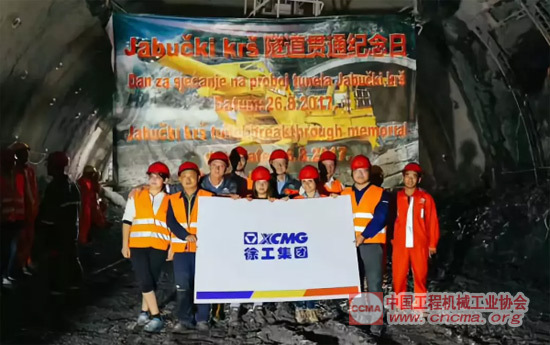 After several discussions and studies of Project Department of Montenegro Bar-Boljare Highway, XCMG XTR260 boom-type roadheader was selected for tunnel excavation. The fourth construction section in which XTR260 boom-type roadheader worked, is situated at Kolasin in North Montenegro. 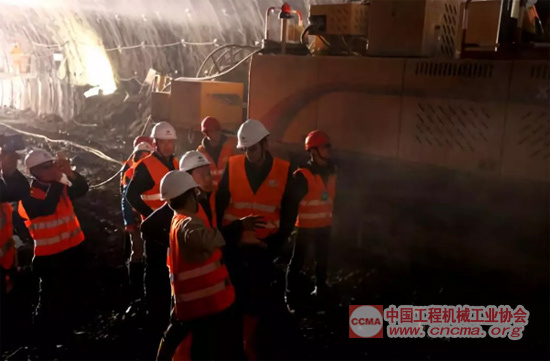 It was built by CCCC Tunnel Engineering Company, extending as far as 9.066 km with four lanes. The ratio of bridges and tunnels amounts to 72% while tunnel ratio adds up to 50%. At present, Pajkov Vir Tunnel‘s right and left cave are tunneled. It’s in flysch surrounding rock stratum. Bedding is developed and the rock is shallowly buried and in unsymmetrical pressure. 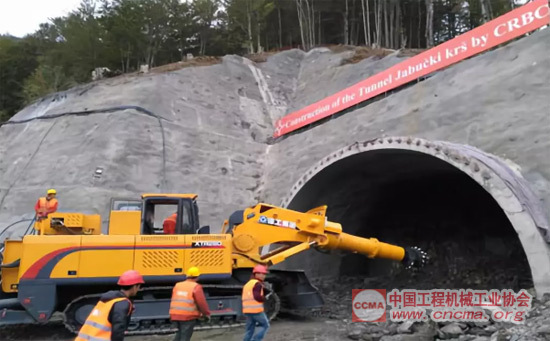 XCMG XTR260 boom-type roadheader is employed all through the construction, which serves for the 6th tunnel under construction and the 4th tunnel which has completed in Montenegro Bar-Boljare Highway Project. Due to the complicated Montenegro blasting process and the fact that it must be operated by local blaster, other sections’ progress was severely impeded. However, XCMG’s boom-type roadheader requires no initiating explosive device and reduces the safety risk and progress delay risk. This equipment only needs 2 persons for all operation. It can reduce 13 working staff per cave excavation per shift. This boom-type roadheader also greatly reduces the disturbance to surrounding rock. Average linear over-excavation can reduce from traditional 20 cm to 5 cm, which is estimated to save about ? 350 per linear meter for sprayed concrete cost for this single term. XCMG XTR260 boom-type roadheader, applied by the Project Department of Montenegro Bar-Boljare Highway of CCCC Tunnel Engineering Company, examined and reviewed by General Manager Department, was rewarded as “Star Machine of Bar-Boljare Highway” for its advantage of “Leading Technology, Reliable Quality and Golden Service”. 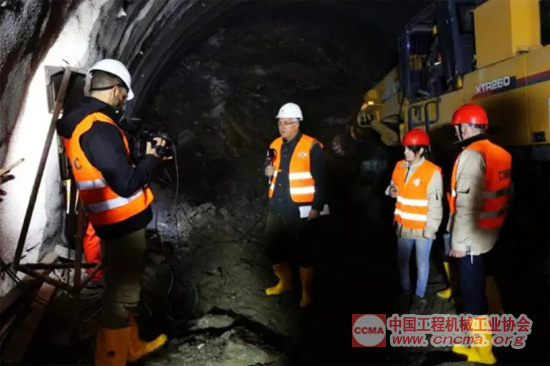 ・The 3rd Session of the 5th Member Representative Assembly of CCMA and the 16th Chi..
・Construction Machinery Four-Stage Emission Technology Forum Successfully Held in B..
・China-Africa Construction Machinery Cooperation and Development Forum successfully..
・BICES 2017 Sings “The Belt and Road”, the Guests at Home and Abroad Together Hol..
・The 2nd Session of the 5th Member Representative Assembly of CCMA and the 15th Chi..
・The 9th India International Construction Machinery Exhibition EXCON 2017 Opens in ..
・Decision of the State Council on Amending the Regulations on Safety Supervision of..
・Atmospheric Pollution Prevention and Control Law of the People’s Republic of Chin..